AOS Treatment Solutions offers a complete line of products that remove phosphorus in the final effluent before discharge. AOS will perform extensive testing to design a treatment program that actively assists in phosphorus removal from wastewater. Why Is Phosphorus a Problem in Wastewater? Phosphorus, like other elements, is healthy and even necessary in limited amounts. Excessive amounts of phosphorus, however, can cause a type of pollution called eutrophication. This is a process where there is an aggressive stimulation of algae and other simple plants. This ultimately depletes oxygen in certain areas and creates what are known as dead zones in the water. This will not only destroy various aquatic life but can cause depletion of healthy fauna and flora. This type of nutrient pollution can create environmental problems in everything from streams and rivers to lakes and coastal areas. Excessive growth of algae from too much phosphorus can also corrode water pipes and ultimately affect the quality of drinking water. Excessive amounts of algae due to phosphorus in bodies of water can even cause skin irritation. Once phosphorus has dissolved in water, it can be extremely difficult to completely remove. How Should Phosphorus Be Removed from Wastewater? There are several methods that can be used to remove phosphorus from wastewater. Which method is selected is often determined by a variety of factors. These may include the overall characteristics of the water being treated, the municipal facility being used, the outcome that is desired and the costs involved. This is the process most often used to remove phosphorus from water. It normally involves using iron and aluminum coagulants. Sometimes calcium hydroxide or lime is used. When the chemicals are put into the wastewater during the primary sedimentation process, this is called pre-precipitation. Chemicals can also be added during the post-precipitation process or during what is called co-precipitation. Sometimes, phosphorus is removed using biological methods. Types of bacteria can be added to water to remove excess phosphorus. Polyphosphate-accumulating organisms (PAOs) are bacteria that can help facilitate the process of removing phosphorus. Physical removal may be used in some cases independently or can be used in combination with other methods. Different types of physical treatments would include sand filtration and membrane technologies. According to Net Industries, chemical methods of removing phosphorus are more often used than biological methods. Chemical methods have generally proven to be more effective than other treatments. In most cases, using chemical treatments for phosphorus removal have also been more cost-effective. What Potential Problems Should Be Avoided? Sometimes, the methods used to treat water do not remove enough phosphorus to make the water safe for the environment. When chemical removal is used, there may be more sludge produced than usual. Whatever method you decide to use, these are factors that will need to be taken into consideration. In small amounts, phosphorus is a nutrient. However, in the concentrations sometimes seen in wastewater, phosphorus becomes a toxic substance. Without the removal of phosphorus from wastewater, the high level of this element would be deadly to aquatic life, plants and wildlife, as well as affecting humans’ health. 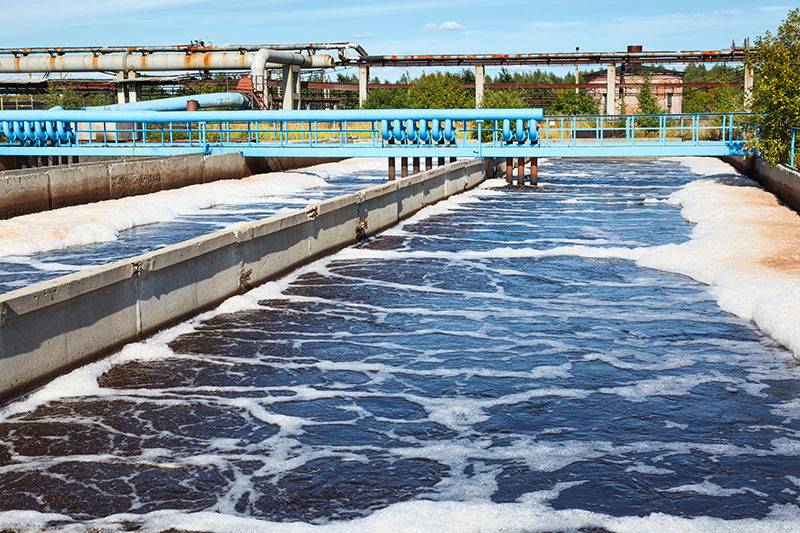 When removing phosphorus from your wastewater it’s important to find a company that has extensive experience effectively treating water supplies and safely removing a variety of contaminants. AOS has been providing quality water testing and treatment since 1999. We incorporate a scientific approach while using the latest techniques to provide their customers with the best results possible. AOS Treatment Solutions offers a number of different wastewater treatment solutions for phosphorous removal in city water treatment systems. Want more information on phosphorus removal from wastewater or any of our municipal water treatment products? Contact us today.